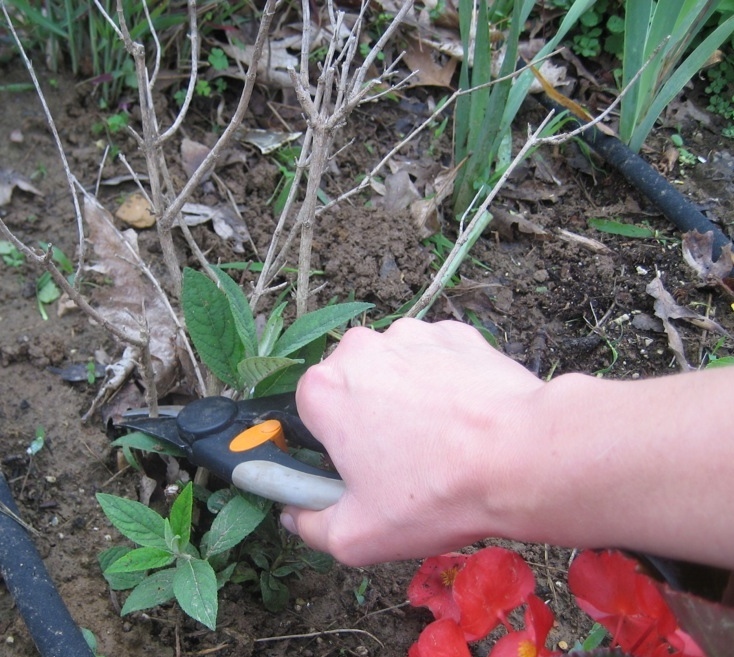 Learn more about what to do with shrubs damaged in winter. Winter is the last thing anyone wants to think about now, but for many of us, the condition of our gardens simply won’t let us forget. Extremely cold temperatures, coupled with strong winds and soil that was frozen solid for months, combined to cause some serious damage to shrubs that had sailed through previous winters. You’ve probably seen a lot of brown leaves and stems on broad-leaf evergreens like boxwood, holly, and rhododendron, but deciduous flowering shrubs like butterfly bush, caryopteris, and big-leaf hydrangea also suffered pretty badly in much of North America. Even hardy landscape roses, which usually come through winter unscathed, were knocked back severely in many people’s gardens. For shrubs that suffered die back – that is, there’s growth coming in on some part of the plant, but not all of it - cut off the dead stems to just above some vigorous new growth. Don’t be afraid to remove small, spindly growth if there are bigger, healthier buds growing below. Removing this old dead wood will allow more sunshine to the rest of the plant and neatens the appearance considerably. If a branch died back completely, do your best to trace it back to the main part of the shrub and remove it with pruners. On some plants, especially boxwood, this may mean taking out quite a bit of the plant, but don’t worry: the plant is definitely better without it. Once you’ve pruned the dead wood off the plant, take a good hard look at what’s left. Has it been damaged so badly that it is no longer contributing to your landscape? If so, you should consider replacing it. You can transplant it to a less conspicuous part of your yard while it recovers in hopes of using it again, but you deserve better than to spend the entire season looking at a less-than-beautiful shrub. If, on the other hand, the plant is still in pretty good shape, commit yourself to taking extra-good care of it this season. 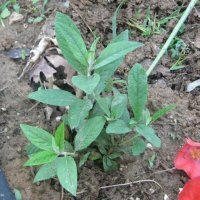 Give it a light application of granular fertilizer formulated for woody plants (I like rose fertilizer for flowering shrubs, holly fertilizer for foliage plants) and keep it well watered all summer to encourage a rapid recovery. We don’t have a crystal ball to tell us what to expect in winter, but we can share three tips to give your shrubs the best chance for long-term survival. One, grow plants that are hardy in your zone. Your hardiness zone is based on the lowest minimum temperature recorded in your area, so if you live in zone 5, a plant sold as hardy to zone 5 should be able to survive. Know your zone and shop for plants with it in mind. If you really want to play it safe, choose plants that are a zone hardier (i.e., a lower number) than your zone. Two, be very careful with fertilizer. 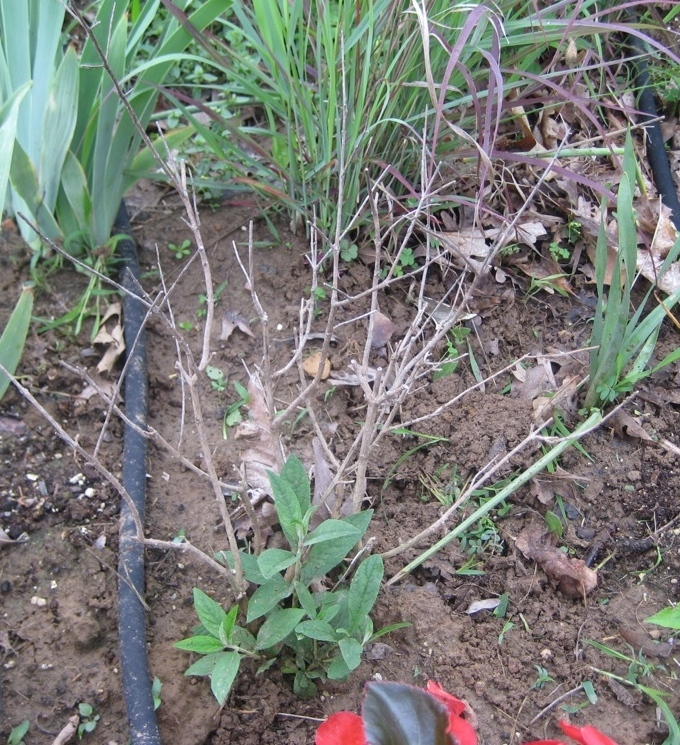 Applying fertilizer to woody plants after mid-late July in cold climates pushes soft new growth that is readily damaged by the cold temperatures coming in autumn. Some plants, like butterfly bush and azalea, are especially sensitive to late season nutrient boosts, so it’s a good rule of thumb to avoid fertilizing trees, shrubs, and perennials after mid-summer. Finally, keep your plants happy. Site them appropriately with regard to their preferences for sun, well-drained soil, and space. Plants with well-established, healthy root systems are much better able to withstand weather-related stress than those that are struggling in less-than-ideal conditions. Take a look at our Gardening Simplified reference guide to pick the best shrubs for your landscape! We planted a Limelight' panicle hydrangea this spring, it started to bloom this August. We have had a lot of rain this past two weeks and the flowers are hanging towards the ground. I attempted to bring upright an a branch split. Please advise , should I try to stake it , already has one going up the center. This can be corrected for next year by pruning the plant back by about one third its total height. That will ensure the growth for next year comes from the thick, heavy buds lower down on the plant. As for this year, though, you can cut off the flowers to unweight the branches. If there's a stake in the middle, you can also try wrapping string or rope around the pole and then around the plant. But provided it gets properly pruned and gets enough sun, you should have a much happier plant next year! Big leaf Hydrangea. Let's dance Starlight. HI. On my Hydrangea PW leaflet says: Protect over winter. How ? What do You do with the plant in NY? Long Island, NY to be exact ! Thank You to all willing to help. Let's Dance Starlight is definitely hardy (that is, can tolerate the coldest winter temperatures) in Long Island. The only protection you'll need to provide for winter is a 2-3" thick layer of shredded bark mulch over the roots. Do not cut the plant back except to remove the spend flowers in spring. Great article, and advice well needed. I had die back on all my roses and butterfly bushes. I removed all dead wood early and all are coming along nicely. So gladyou published this informative article. You answered my questions! I was reading your email regarding shrubs that have winter killed, and how I should cut them back, now. Is this also true for roses. I see new growth at the bottom, but nothing on the remaining plants? Should I severely cut these back also? Plus two of my Potentila's took a real beating this past winter from the heavy snow/ice. It appears that the middle of the plants were crushed, and are dead, however the ice in the middle of the plants, spread out (or flattened out) the rest of the plants. There is a lot of growth and buds on the outlying parts of these plants. I have just brought them up and tied them together. Will the centre parts come back? Thank you for contacting Proven Winners! Yes, this information would be correct for pretty much any shrub – if it hasn’t shown any signs of new growth by the second week of June, it is most likely dead. As soon as you see new growth beginning to emerge, it is safe to cut back the portions that are not showing any such signs. As for the potentilla, it may break bud lower down in the center. Remove the damaged portion to make sure it gets sunlight and give it a bit more time to see if it will push out any buds.